Farai Chideya brings the human experience alive in media. Publisher’s Weekly calls her new book The Episodic Career: How to Thrive at Work in the Age of Disruption a “smart and savvy” guide “to forge the best and most fulfilling career path.” A fiction and non-fiction author who has published six books, Chideya is also a broadcaster and a Senior Writer at the data and political site FiveThirtyEight.com. She has covered every Presidential election since 1996; and interviewed subjects including self-made billionaires, violent criminals, and Katrina survivors. She is a former on-air reporter and host for ABC News, CNN, and NPR, where she hosted the program News and Notes. 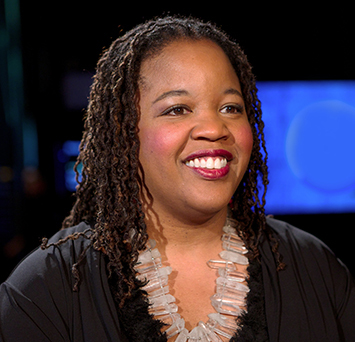 Farai was a spring 2012 fellow at Harvard’s Institute of Politics, and is a Distinguished Writer in Residence at New York University’s Arthur L. Carter Journalism Institute.